If you’re anything like me, craft is your lifeblood. I crochet daily, I can wield a sewing needle and can thread a sewing machine. 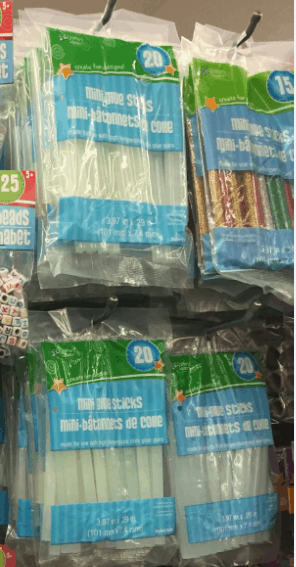 I keep a stock supply of hot glue sticks and polyfil, ribbons and an entire room full of yarn. It’s a beautiful thing (when its organized). 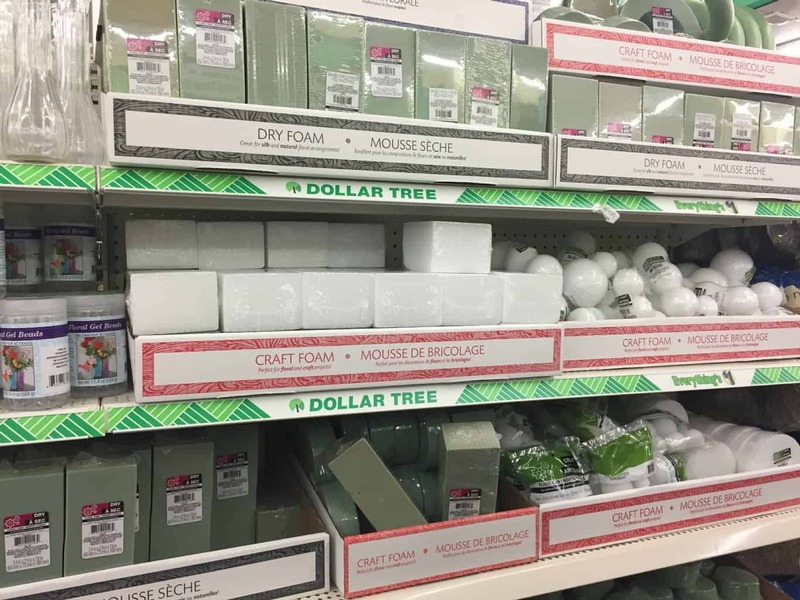 There are some things that I notice at Dollar Tree every time I go, and every time I am surprised they can offer such otherwise expensive items for just a buck. What do these have to do with craft, you ask? I use color coordinated gift bags to organize my yarn. Need some blue yarn? Check the blue bag! 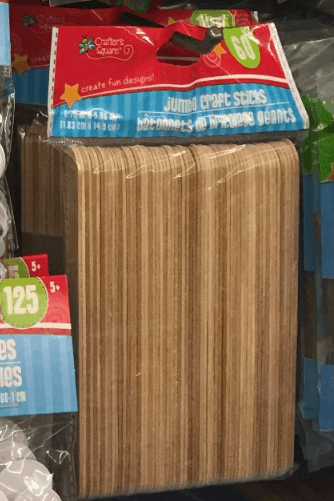 I do have to use the large bags, which is perfect since Dollar Tree sells all sizes for just that $1, when you could spend $4 – $5 per bag at Target or Walmart! 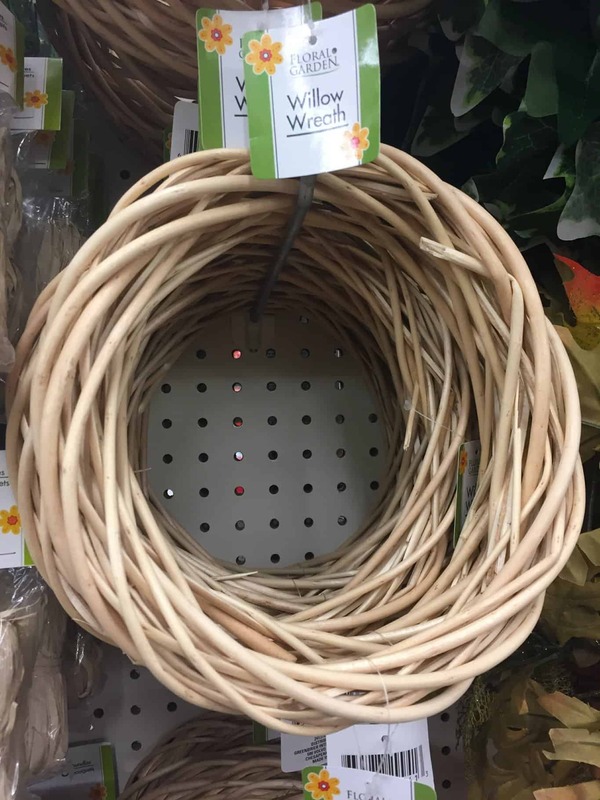 Add to these wreaths to create your own unique spin. Also be sure to check out their fabric flowers and garlands. Can one ever have enough Spanish Moss? 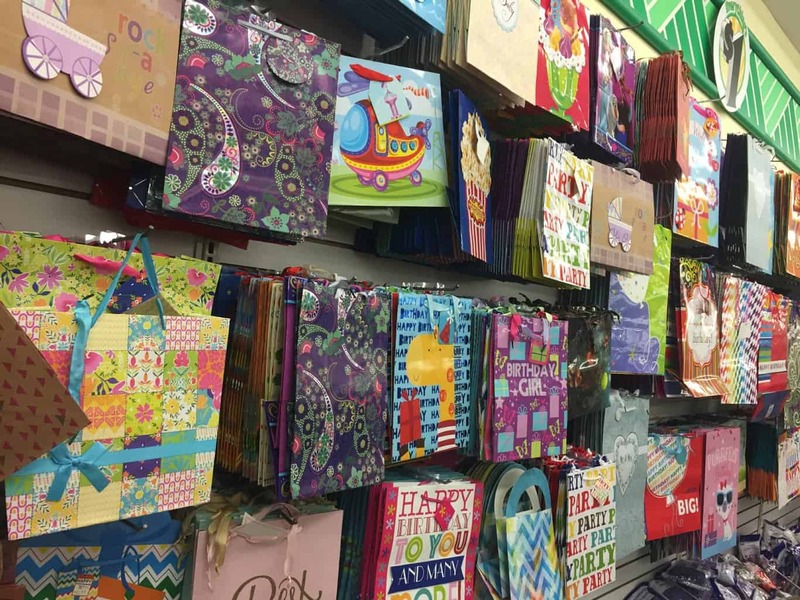 These bags are about half of what they cost at other craft stores. Get them here (in varying colors) for just a buck! 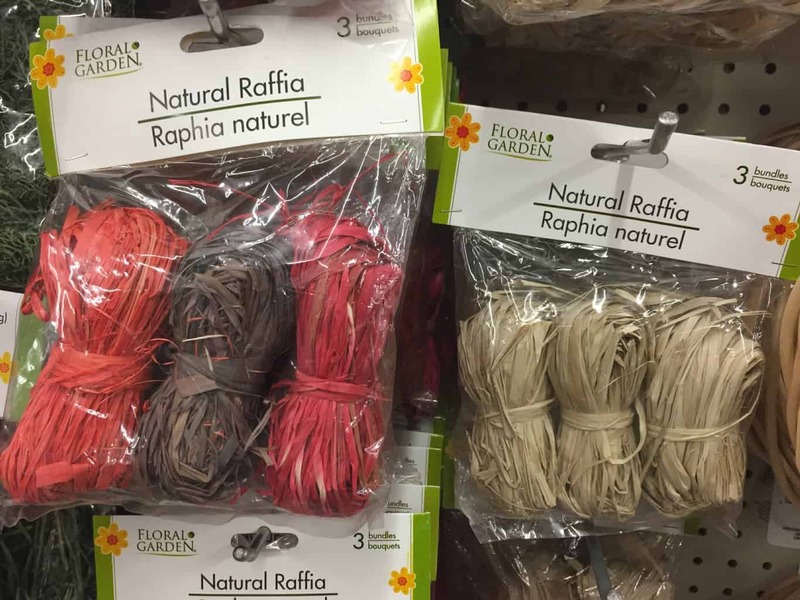 Raffia makes the prettiest bows on presents, and for just a dollar you can get a three pack of varying colors. Hold three strands together and use instead of ribbon on your gifts this year. Pretty and chic, and cheap! My boys like to make bracelets for their friends. 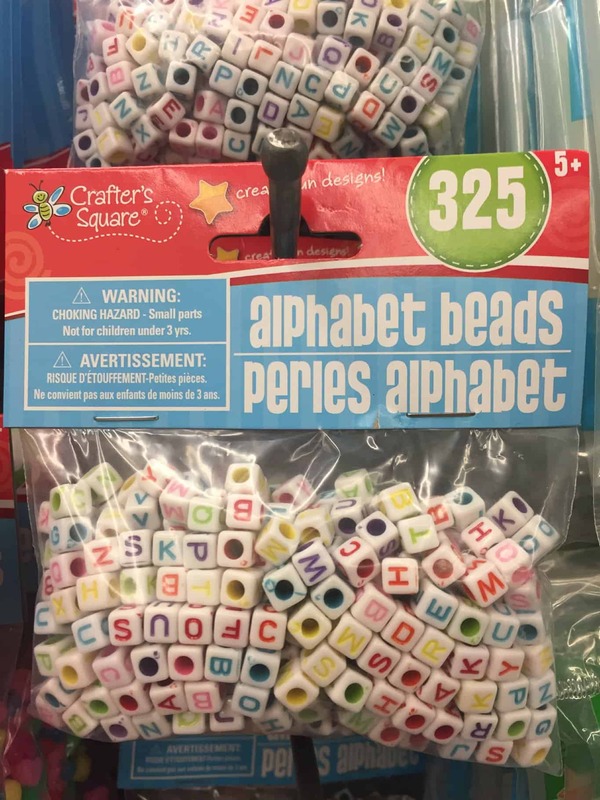 The alphabet beads they wanted at Hobby Lobby a few weeks back were $5.99 per bag. For about the same size bag! 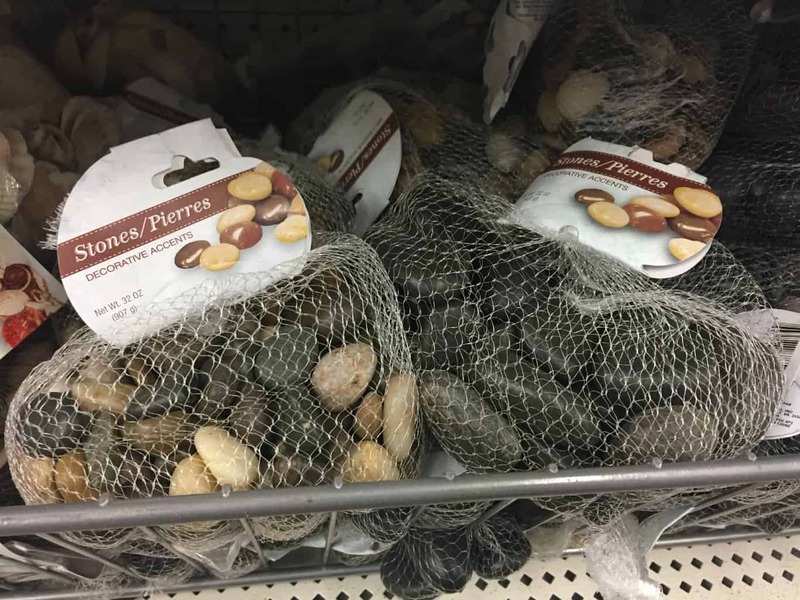 Pick them up at Dollar Tree for a fraction of the price. 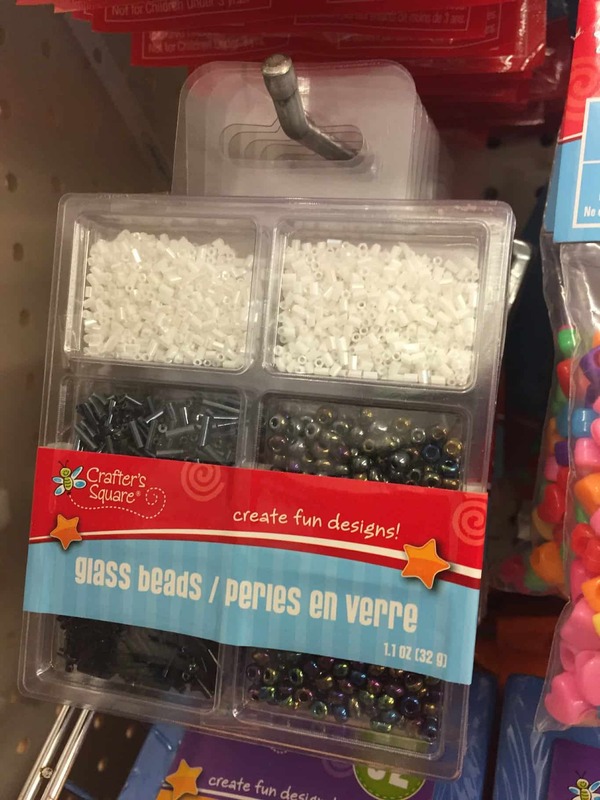 The assorted beads are also a killer deal!! I like to use these in the bottom of vases for a pretty effect, and at the bottom of my flower pots when I don’t have quite enough soil to fill the pot. 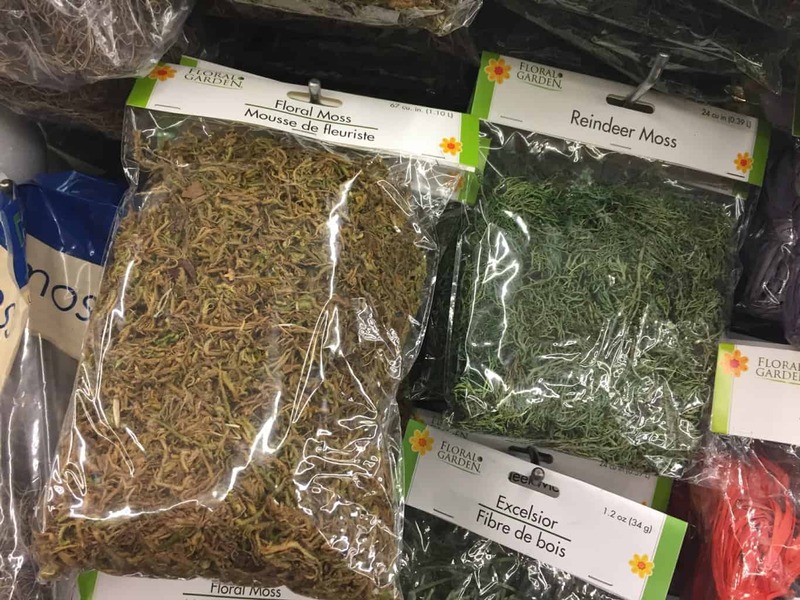 These also could be used in a variety of craft projects, and are certainly a bargain at $1.00 per bag. Not only can vases hold flowers, but they also make for great centerpieces! Around the holidays, I like to fill a vase with water and fresh cranberries. Add a floating votive candle (also available at many Dollar Trees) and voila! It is a beautiful centerpiece for Thanksgiving or Christmas dinner. I’ve made my own decorative balls with my hot glue gun, some colored twine and a few Styrofoam balls. 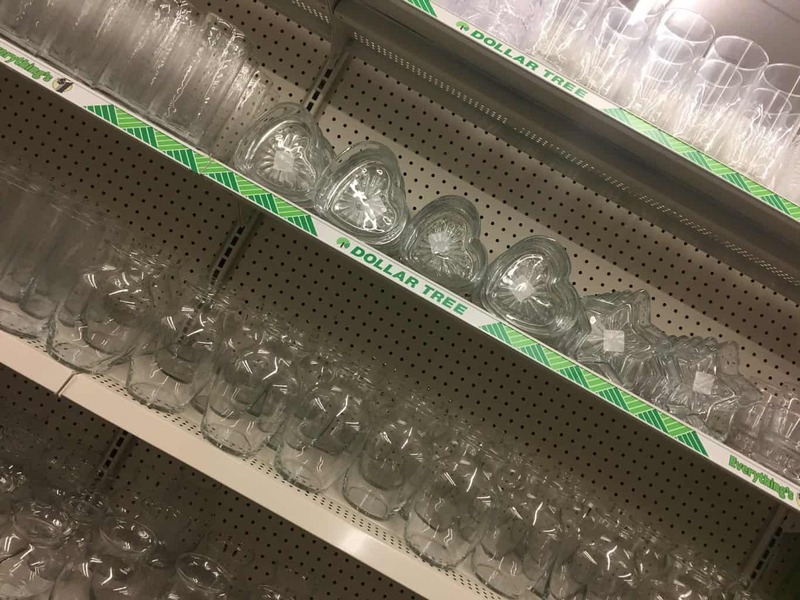 Get the large ones or a multi-pack of the smaller ones for a fraction of what you’d pay elsewhere. I refuse to let my kids use glitter in my home. Okay, that’s a bit extreme BUT it does have its way of sticking to EVERYTHING it touches, does it not? 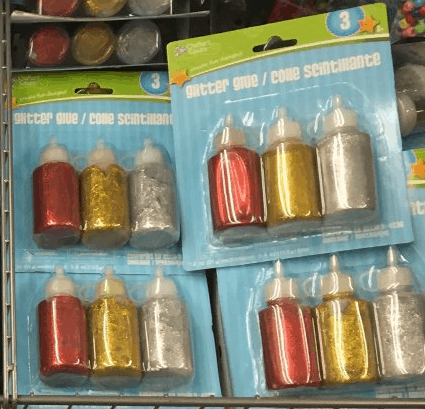 Avoid the hassle with $1 glitter GLUE in varying colors. We can even get a three pack! My hot glue gun is the answer to so many of life’s problems. 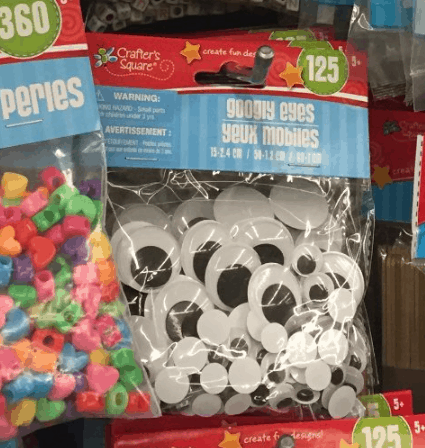 $4.99 for a bag at other craft stores? Nope! Pick up a bag (even multi-colored!) for just $1 here. Because: Googly eyes. And you get 125 of them! Why an odd number I ask?! Building a Popsicle stick house? Grab those sticks at DT, baby and save a small fortune in the process. 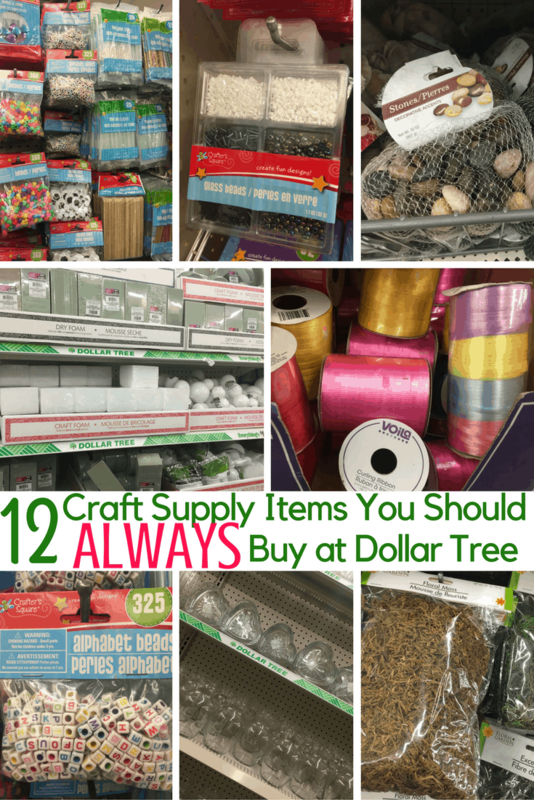 Does your Dollar Tree store have other craft supplies? I love how each store can vary, but that also means that I feel compelled to shop them all. You never know what you’ll find, which is half the fun!